Morrison took office in August after infighting within the governing Liberal Party led to the resignation of his predecessor, Malcolm Turnbull. Morrison’s country and China have enjoyed a warm economic relationship over several decades as the former’s vast mineral and metal reserves provided the raw materials for China’s economic transformation. Yet Morrison has taken power at a time of relative strain in the relationship as concerns have grown over several politicians’ involvement with figures tied to the Communist Party of China. Morrison was appointed just days after Chinese telecom giant Huawei Technologies Co. Ltd. said Australia banned it and hometown peer ZTE Corp. from providing 5G technology to the country. 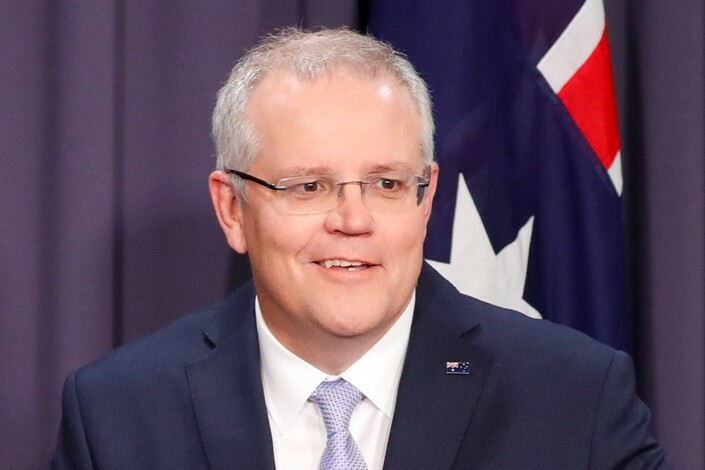 Morrison himself blocked several Chinese investments in Australia while serving as treasurer for the nearly three years before he became prime minister. One of those blocked investments was a Chinese consortium’s attempted purchase of cattle empire S. Kidman & Co. Ltd., forcing foreign owners of Australian property to sell seven projects after a probe into illegal transactions, and rejecting two Chinese bids for the country’s biggest power grid, Ausgrid, due to security concerns. 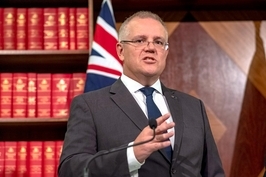 Morrison spoke with Caixin about the state of Australia’s relations with China, his government’s approach to managing the ongoing U.S.-China trade tensions, and the contribution the country’s Chinese community has made to Australian life. Below are edited excerpts from Caixin’s interview. Caixin: Arguably, Australia’s relationship with China has not been at a high point for the last year or two. Why do you think relations have soured, and what priorities do you have for improving Australia’s relations with China? Morrison: I think we have a productive and warm relationship that is underpinned by strong fundamentals, and we have substantial economic complementarities. We also respect each other greatly. Our government is absolutely committed to our Comprehensive Strategic Partnership, which is strongly to the benefit of both partners and of our region. It’s obvious that China and Australia won’t always agree. On occasion, we have different systems and different views, but it’s how we manage that which is important, and that we have respect, consistency and the principle of equality as we pursue shared interests. Currently, the U.S. is trying to decouple its economy from China as the trade war continues. What is Australia’s approach to the situation? We continue to seek to work closely with both China and the U.S. We have independent relationships with both countries, and I always believe it’s best to have those conversations directly and quietly in an encouraging and positive way because the prosperity and the security of our region depends on it. Australia is in a unique position to engage with both China and the U.S. and should always seek to de-escalate tensions, and to do so from a position of friendship with both countries. 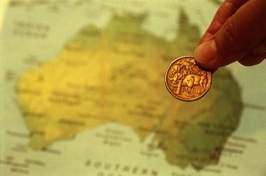 What is your approach to encouraging further Chinese and foreign investment in Australia? We’ve always welcomed foreign investment in Australia, including from China, which is an increasingly large investor, and we have the most liberal foreign investment rules in this part of the world. There are very clear rules about how to invest in the country, and we need to make sure we continue to be clear so that all investors understand how the rules apply, just as Australian investors need to work closely to understand the rules that apply in China. We will always encourage and support investment in Australia when it serves the national interest to do so, and that’s been our track record. Australia has stepped back from working with China on the Belt and Road Initiative. Will that create barriers to investment, especially in infrastructure? Australia welcomes the contribution the Belt and Road Initiative can make in meeting the infrastructure needs of the region, and we’re keen to strengthen engagement with China in regional trade and infrastructure developments that align within the international standards of governance and transparency. There are some very important infrastructure that’s being built around our region, and we want to make sure that the way these projects roll out are really helping these countries, which we’re sure is the intention, and are supporting greater connectivity and prosperity in our region. Your government recently made the decision to essentially block Huawei and other Chinese companies from participating in 5G telecommunication services, while other Western countries such as Canada and the U.K. have taken a different approach. If there are security risks, are there better ways or less-costly ways that Australia can manage them? Our government’s 5G decision was not made regarding any particular country. It was made after careful and extensive review of the national security risks that are unique to 5G. It’s a very different technology to those that have gone previously, and of course Australia will always act on its responsibilities to safeguard what we believe are critical national assets in the same way that China or that any other country in the region would. The next question is about the China-Australia Free Trade Agreement (ChAFTA), It’s a landmark agreement and also a symbol of where Australia and China want to go in opening trade. What priorities would you identify in building on the ChAFTA achievement and making that a living and very productive agreement? You’re right to point out how significant the agreement is in our region. It is opening new markets, lowering trade barriers, and delivering results for both countries. Australia exported over A$100 billion ($70.6 billion) of goods last year, and that was up more than one-fifth, 21.8% on the previous year, and there was an 8% rise in Chinese exports to Australia, so clearly the two-way trade is benefiting both countries, and there will be rounds of tariff cuts annually up until 2029, so there’s a clear priority schedule that is laid out as part of that agreement. We look forward to commencing with a general review of the ChAFTA, and considering how we deepen liberalization of trade and investment, and further market access. I would say ChAFTA has been arguably the greatest significant achievement in our relationship because it is opening up both countries to each other, and it is driving prosperity for all of our citizens and more broadly across the region. Turning to politics, there has been quite a story about Chinese influence in Australia. Does the Australian government believe that the Chinese government is trying to exert influence? The laws were passed by the Australian Parliament and were not directed at any one country. I’m sure that any country would want laws to ensure that there wasn’t any inappropriate influence in its political affairs, and I’m sure that China does not welcome any interference in its domestic political affairs either. I think this is just a very straightforward statement of principle, and it’s not directed at any one country. There’s plenty of individuals out there in the media and other places that might commentate on these issues, but the position of the government and our Parliament is very clear, and that is that these are very straightforward set of laws which are designed to ensure that in our own domestic politics and in are our own domestic society that there isn’t any external influence from other countries. Looking ahead, for Australia-China relations, do you share the view of cooperation in defining the future of our relationships? I think the future of our relationship is very much defined by the Comprehensive Strategic Partnership, which is a very significant relationship for Australia. It stands out among our many relations with countries all around the world, and that partnership is designed to ensure greater economic connectivity, to drive prosperity for both countries, I think to drive greater linkages at all levels within our societies, and to ensure that there is an ongoing process to make sure we stay on track to achieve all of these things. Australia has a significant population of Chinese immigrants with many Chinese coming here study, work and live. How do you evaluate the overall impact brought by Chinese immigrants? We welcome Chinese students, investors and other visitors. Trade, tourism and students all are at record highs — A$183 billion in 2017 of trade, 1.4 million visitors from China in the last financial year, and we had some 184,500 students here in 2017 — so this is all making a very big contribution to our economy, and Chinese students and visitors play an important part in the life of Australian society. Chinese New Year here in Australia is one of the biggest events of the year like it is throughout the region, and so I think it has taken on a very Australian character to it, which I think it is a compliment to Chinese nationals who have settled in Australia over the last 200 years. We’ve just celebrated 200 years of Chinese immigration to Australia. 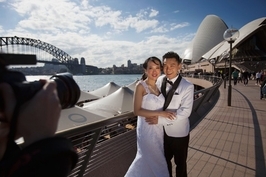 Chinese immigrants are part of the mainstay of modern Australian life. Thank you very much, we highly appreciate your time. Thank you, and I look forward to meeting with the Chinese leadership at the various summits and meetings that are coming up in the region, both at the East Asia Summit and the APEC Summit in Papua New Guinea, Port Moresby, and I think there will be good opportunities to engage with the Chinese leadership there as the new prime minister. I’m looking forward to that very much and taking the opportunity to provide the assurance of the strong relationship that they can expect into the future.